Although EGFR activation is a hallmark of glioblastoma (GBM), anti-EGFR therapy has so far not yielded the desired effects. Targeting PI3K/Akt has been proposed as a strategy to increase the cellular sensitivity to EGFR inhibitors. Here we evaluated the contribution of FOXO3a, a key Akt target, in the response of GBM cells to EGFR inhibition. FOXO3a activation was assessed by immunofluorescence and gene reporter assays, and by evaluating target gene expression using Western blotting and qRT-PCR. Cellular effects were evaluated using cell viability and apoptosis assays, i.e., Annexin V/PI staining and caspase 3/7 activity measurements. Drug synergism was evaluated by performing isobolographic analyses. Gene silencing experiments were performed using stable shRNA transfections. We found that EGFR inhibition in GBM cells led to FOXO3a activation and to transcriptional modulation of its key targets, including repression of the oncogene FOXM1. In addition, we found that specific FOXO3a activation recapitulated the molecular effects of EGFR inhibition, and that the FOXO3a activator trifluoperazine, a FDA-approved antipsychotic agent, reduced GBM cell growth. Subsequent isobolographic analyses of combination experiments indicated that trifluoperazine and erlotinib cooperated synergistically and that their concomitant treatment induced a robust activation of FOXO3a, leading to apoptosis in GBM cells. Using gene silencing, we found that FOXO3a is essential for the response of GBM cells to EGFR inhibition. Our data indicate that FOXO3a activation is a crucial event in the response of GBM cells to EGFR inhibition, suggesting that FOXO3a may serve as an actionable therapeutic target that can be modulated using FDA-approved drugs. We are grateful to Joan Seoane (Institut de Recerca Hospital Vall d’Hebron, Barcelona), Hans Skovgaard (Rigshospitalet, Oslo) and Isabel Martínez-Lacaci (Hospital Universitario Virgen de la Arrixaca, Murcia) for the gift of human glioma cell lines, to Jon Clardy (Harvard University) for Psammaplysene A and to Eric W-F Lam (Imperial College London) and Wolfgang Link (CNIO, Madrid) for expression plasmids. We are also grateful to Roche for providing erlotinib hydrochloride. The Cancer Cell Biology Laboratory is supported by a Consolider Ingenio grant (CSD2010-00065, Ministerio de Economía y Competitividad, Spain, to G.R., R.V-P., S.FdM. and P.V.) and a grant from Junta de Balears-AECC (to G.R., S.FdM. and P.V.). 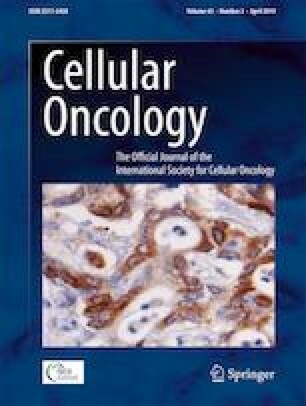 For tumor sample collection informed consent was obtained from all individual participants included in the study and the study was approved by the ethical committee (Comitè d’Ètica de la Investigació-Illes Balears, CEI-IB, Ref. N° 3198/16).